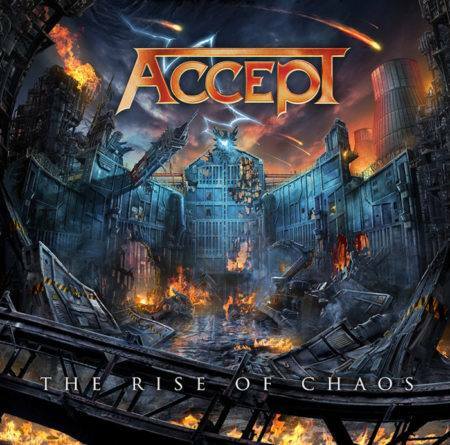 ACCEPT – New Studio Album “The Rise Of Chaos” Releases On August 4th… And Other ACCEPT News! Heavy Metal pioneers ACCEPT are back in the game with a new studio album! The record entitled The Rise Of Chaos, will be unleashed on August 4th, 2017. The band’s 4th studio release through Nuclear Blast will continue the tradition of its three predecessors – Blood Of The Nations, Stalingrad, and Blind Rage – with grandeur and precision. 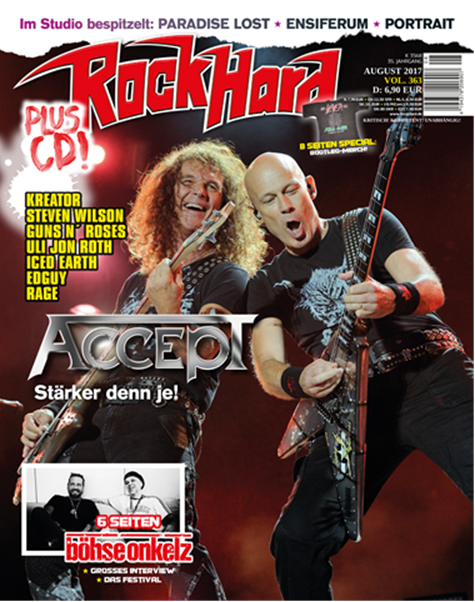 ACCEPT on the cover of the August 2017 issue of ROCK HARD MAGAZINE! LONG LIVE THE HEAVY METAL LEGENDS ACCEPT. This entry was posted on July 23, 2017 at 2:13 pm and is filed under Hard Rock, Heavy Metal, Metal, Music, music news, news, rock music, world news with tags accept, Heavy Metal, metal albums 2017, Metal News, metal odyssey. You can follow any responses to this entry through the RSS 2.0 feed. You can leave a response, or trackback from your own site. Good song with a killer solo.